Clevedale is using Smore newsletters to spread the word online. · Nutraceuticals are blends of herbs, natural proteins and minerals that form a supplement. These supplements contain ingredients with proposed effects on a horses well being whether it be calming, joint protection or metabolic support. · The scientific research into their effectiveness is less thorough than veterinary drugs. But many owners feel they have beneficial effects on their horses and that’s what matters at the end of the day! · Supplements do not act as an alternative to veterinary treatment but may be a useful addition in the management of your horse. “A naturally superior and highly palatable nutritional supplement to help maintain healthy cartilage and joint fluid in horses.” Containing 6 key ingredients for joint health: Glucosamine, Chondroitin Sulphate, N-Acetyl-D-Glucosamine, Ascorbic acid Zinc Sulphate and Manganese more than any other competitors supplement. 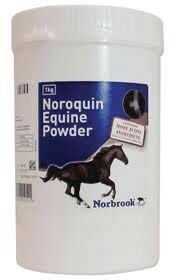 Available in a palatable powder form that can be added to your horses feeds. We have negotiated directly with the manufacturers and secured massive discounts of approximately £40 per tub. Is your horse not coping well with box rest? Do you have an exciteable youngster? CALMEX® is a blend of natural nutrients that can help reduce anxiety, encourage normal behaviour and support neurological health in general. 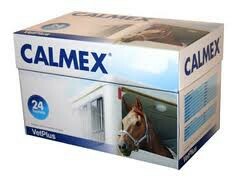 They promote calmness, relaxation and concentration, making life less stressful for both you and your horse. Calmex is a very high quality supplement only available from your vet. We have negotiated directly with the manufacturers and secured a considerable discount on this product for you. If you have any questions about equine supplements, as ever don't hesitate to contact the Practice and ask to speak to one of our Vets.